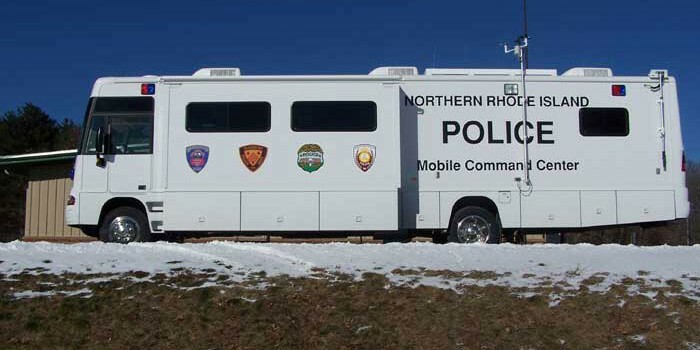 The Smithfield, North Smithfield, Burrillville and Glocester Police Departments share a thirty-eight foot (38’), mobile command center (MCC). 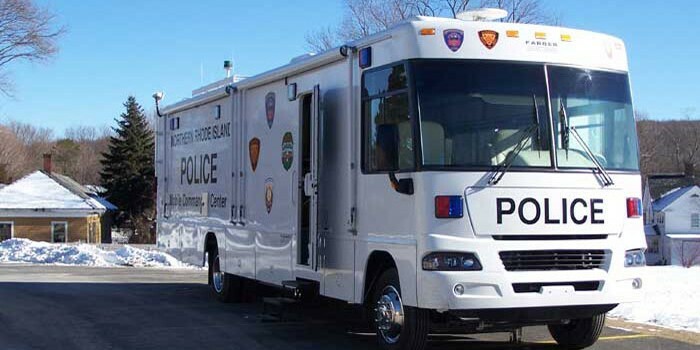 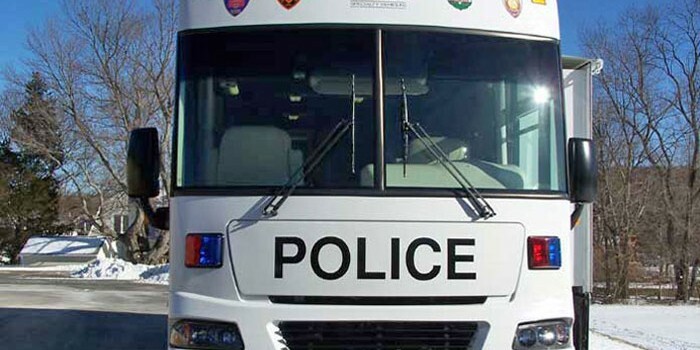 The vehicle is based on a Ford F-350 Super Duty chassis and is designed to operate as a self sufficient command and communications center – a police station on wheels. 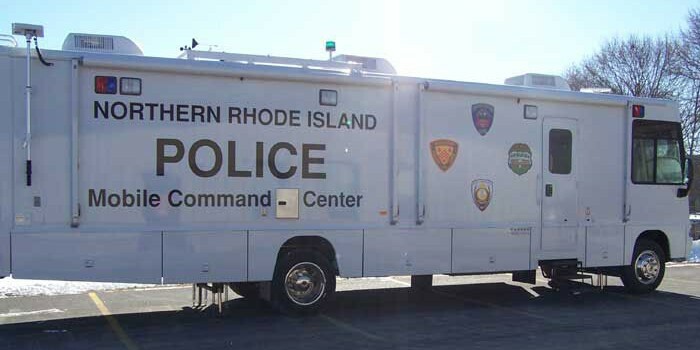 The MCC is equipped with six radios, each capable of accessing 128 channels. 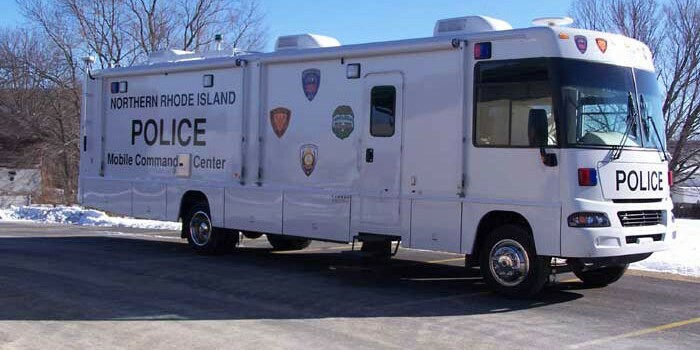 It has six telephones, Internet and cable television access, satellite phone capabilities, a fax machine, a copier, a scanner, a Smart Board and a weather station. 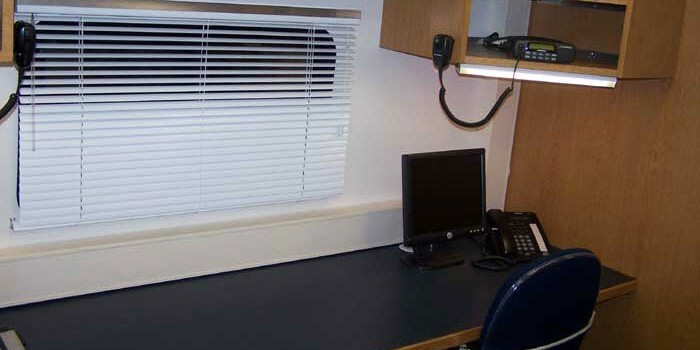 There are also five work stations, including three stations for laptop computers and a conference area. 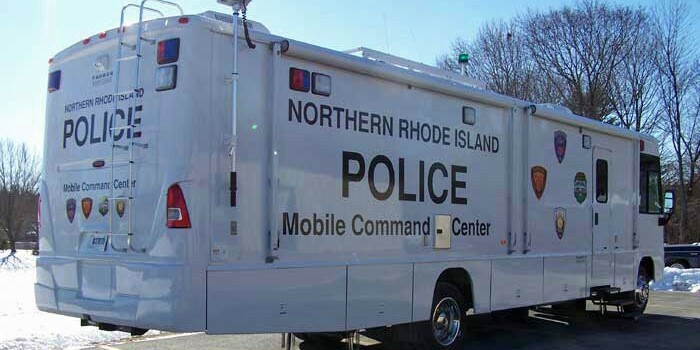 The vehicle was purchased through a grant issued in July of 2003. 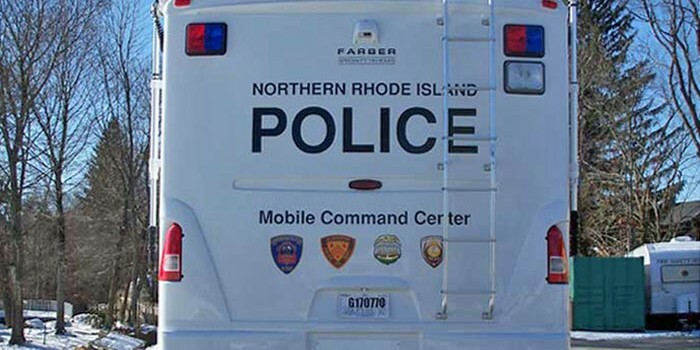 Based on the request, the four towns received $210,000 grant from the Rhode Island Emergency Management Agency and the United States Office of Homeland Security.